Rising medical costs in America and the lack of health insurance are two reasons why Americans are skipping their visits to the dentist. It was estimated that for every adult without health insurance, three adults lack dental insurance. While most individuals will still go to the dentist for simple procedures like a routine check or cleaning, the high prices for complicated procedures like crowns and bridges or implants discourage most Americans who cannot pay the extra price for these procedures. This is why many Americans are looking for dental treatments elsewhere and a dental trip to Romania is looking like a good vacation: combining a highly affordable dental treatment with the ability to visit Bucharest and other cities at only a fraction of the costs it would take to travel elsewhere abroad. Foreigners might be enchanted by Romania’s folklore and mystique and by its number one attraction: count Dracula, but a very pragmatic reason to visit this Eastern European country is to have access to extremely affordable dental treatments and at the same time benefit from accommodation at low prices. A central four star hotel in Bucharest will offer you all the benefits you are accustomed to at less than 100 $ per night per person, depending on the season. Also, transportation is affordable in Bucharest: if you do not feel like walking across town or taking the bus, you can take a taxi for half the typical price in other European capitals. Restaurants are also affordable and they offer tourists the opportunity to choose from traditional Romanian food to international cuisine. Dental implants are among the most expensive procedures in the United States but they are far more accessible in Romania. 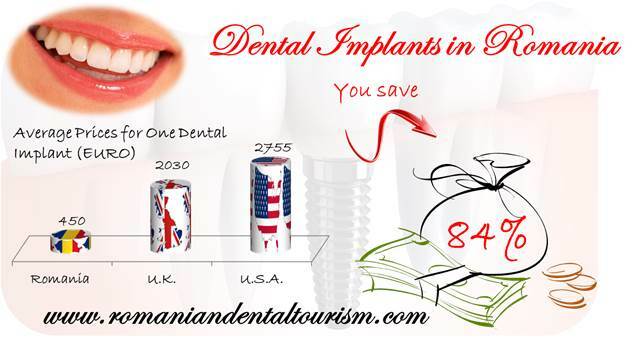 A dental implant in the US will cost around 3500$ while in Romania the price starts at 450 or 570 euros. Porcelain crowns in America can cost more than 1750$ and in Romania their price is 350 euros (almost 400$). Crowns made from other materials can have even more affordable prices in Romania. Lower costs do not mean lower quality. 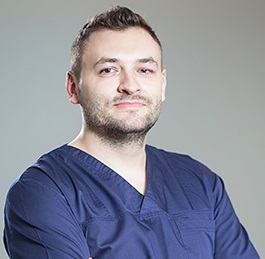 Our dentists in Bucharest are trained professionals and specialize in various areas of dentistry, including procedures that require oral and maxillofacial surgery. You can contact our dental clinic in Bucharest for more details about our services and a complete list of our prices. 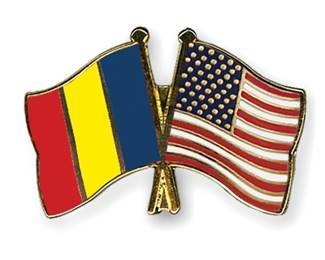 Our dentists will help you plan your dental trip to Romania.